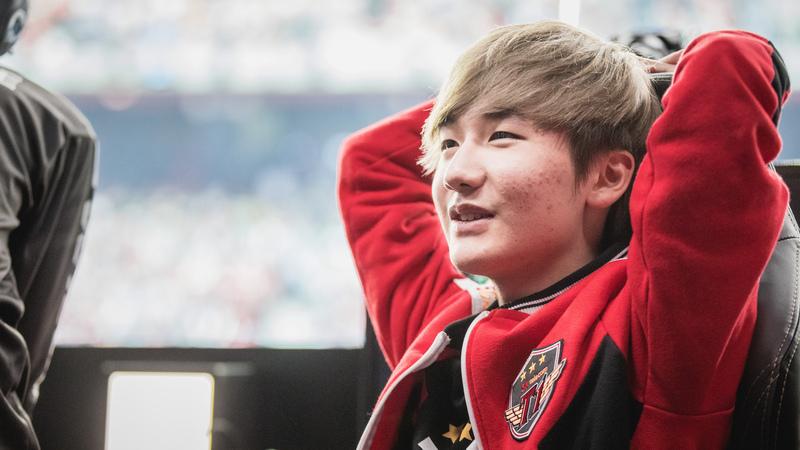 Faker and Peanut could be reunited, though nothing is set yet. SK Telecom T1 just finished up one of the worst years in their competitive League of Legends history, so it makes sense that the team would begin searching for new talent. One of the roles they’re apparently trying to fill is the jungle position, and they’ve got their eye once again on former SKT jungler Han “Peanut” Wang-ho, according to a report from Korean esports media site Inven. Peanut was with the team when they won MSI in 2017 and then failed to win Worlds in the finals against Samsung Galaxy, but then he left for Kingzone DragonX to join his former comrades Kim “PraY” Jong-in and Kang “GorillA” Beom-hyeon. He had played with both PraY and GorillA on ROX Tigers the year before he joined SKT. SKT opened up negotiation with Kingzone, where Peanut is currently playing, yesterday through formal LCK channels. There has yet to be any sort of confirmed result of the talks, however, but the first set of negotiations appeared to only last about an hour, according to Inven’s report. Peanut isn’t the only player under the spotlight of the three-time world champions, either. Apparently, they’ve showed interest in two other unnamed junglers, too, but a league official told Inven that one player declined and the other didn’t respond with a clear answer. Peanut, though he only spent a year with the team, is one of SKT’s fan favorite players, behind the legendary Lee “Faker” Sang-hyeok, of course. The possibility of the two being reunited will undoubtedly excite some people, but keep in mind that so far it looks like nothing concrete has been decided.